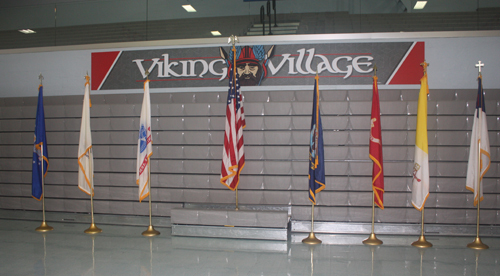 The Viking Veteran Memorial is a monument located on the campus of Villa Angela-St. Joseph (VASJ) High School in Cleveland. 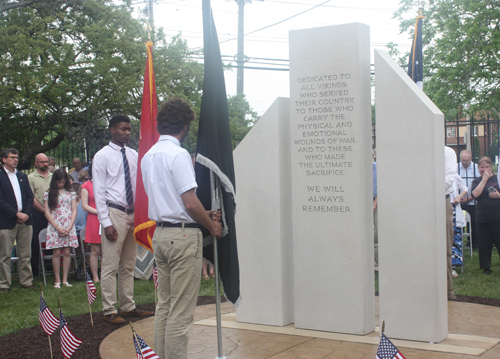 It was dedicated Memorial Day weekend 2016.
and to these who made the ultimate sacrifice. 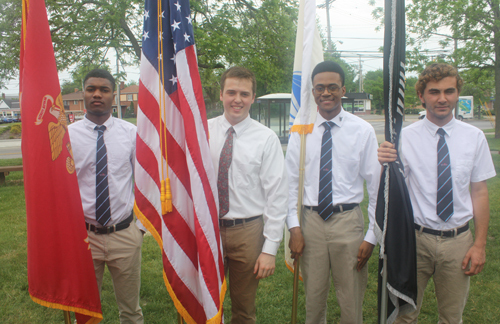 About 250 people attended the ceremony which began with the Presentation of the Colors by 4 VASJ students. 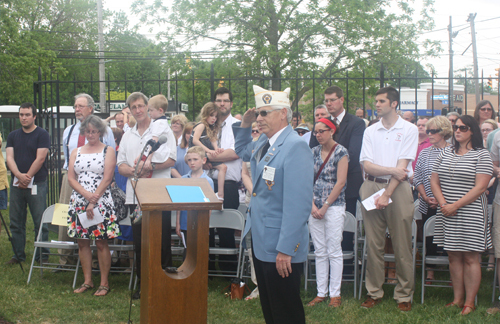 This was followed by the singing of the National Anthem led by Commander Kenneth A. Bollam '54 (USN Retired). 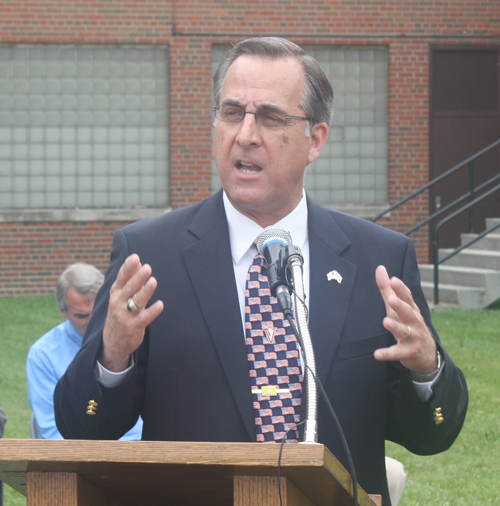 Jim Tobin served as MC for the ceremony. 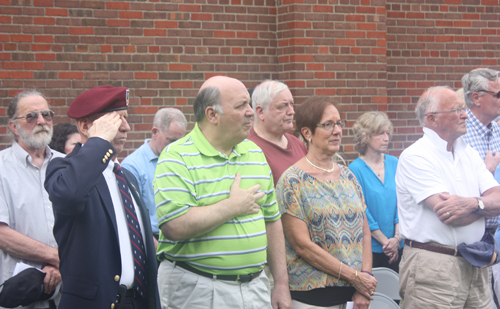 Jim introduced the other members of the St. Joseph High School Viking Veteran Memorial committee - all Vikings and all combat veterans: Al Belevice '66, Chuck Kortovich '95 and Tom Verderber '67. 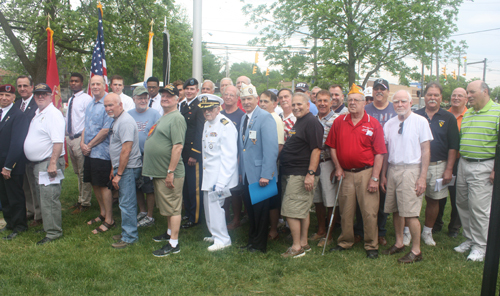 He then gave a Welcome home to all Viking Veterans and to the families of the deceased. 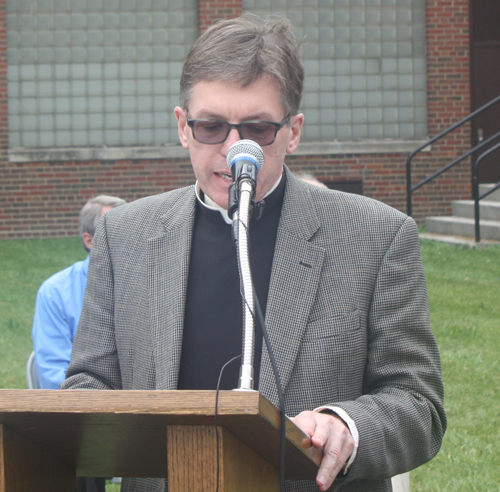 Father Joseph Fortuna, Pastor of Our Lady of the Lake Parish, gave the invocation. 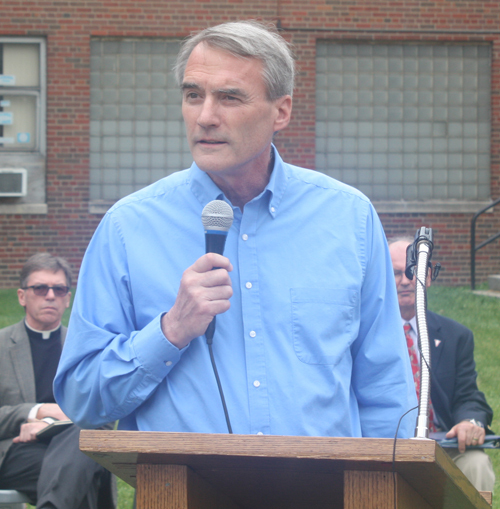 Bill Cervenik '72, President Elect of VASJ, recently retired as mayor of the City of Euclid. 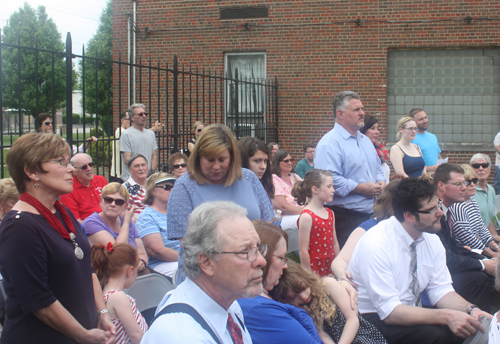 He spoke at the ceremony and prayed that they never have to add another name to the memorial. 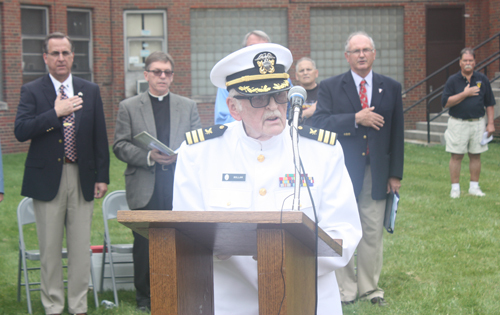 Michael Strainic '67 was a Navy Sea Bee and is now Post Commander of the Catholic War Veterans Of The United States Of America Inc., John Paul II Post 1959 in Mentor, Ohio. 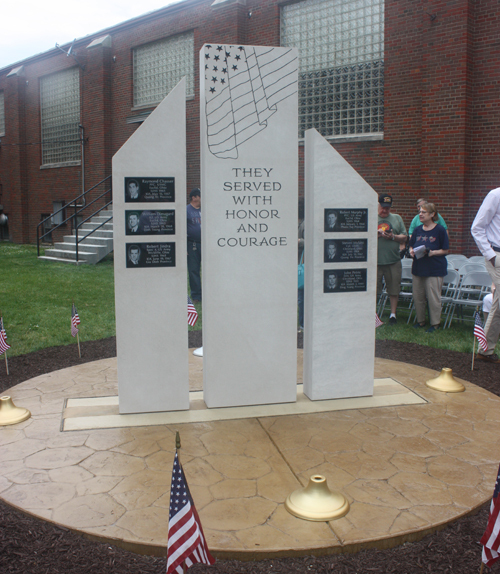 He gave a dedication of the memorial. Lt. 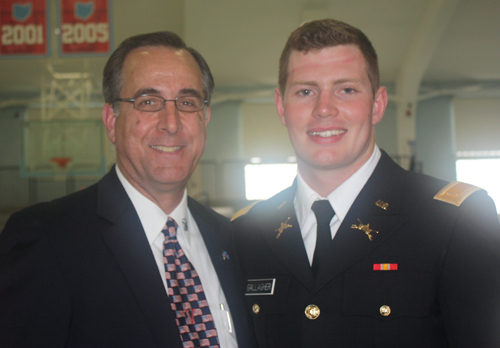 Colonel Gary Minadeo '74 (Retired) is a graduate of St. Joseph High School and West Point. 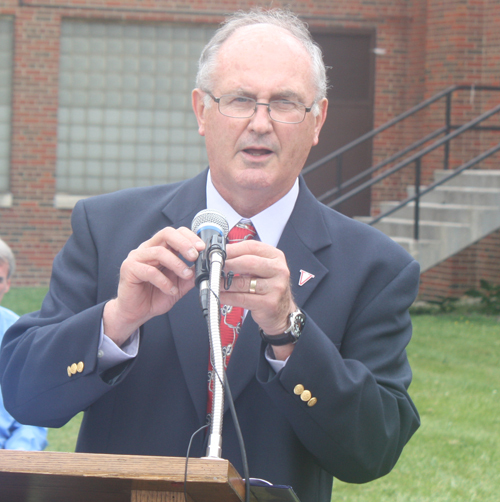 After retiring from the service he came back to VASJ to teach Math and Technology. 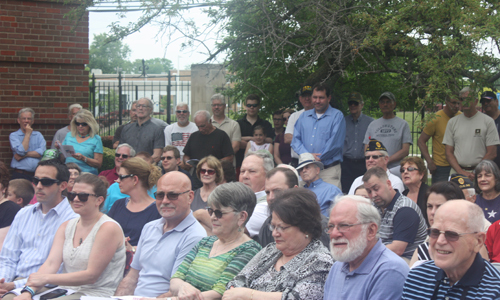 He spoke about the Continuum of Military Service at the ceremony dedicating the Viking Veteran Memorial. 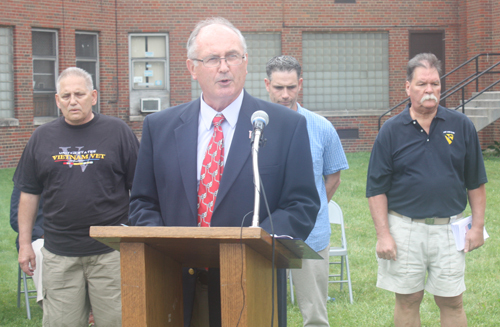 Jim Tobin introduced the family members of the six St. Joseph High School students who were killed in Vietnam. 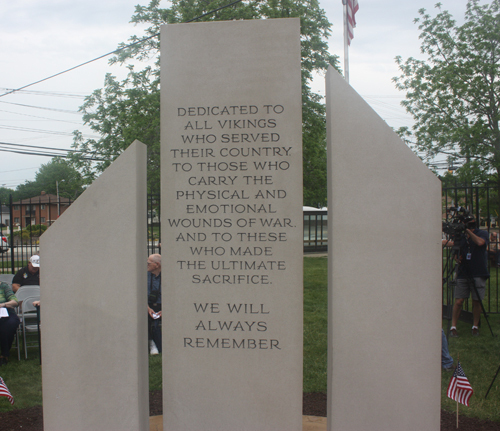 The Viking Veteran Memorial was created to honor them. 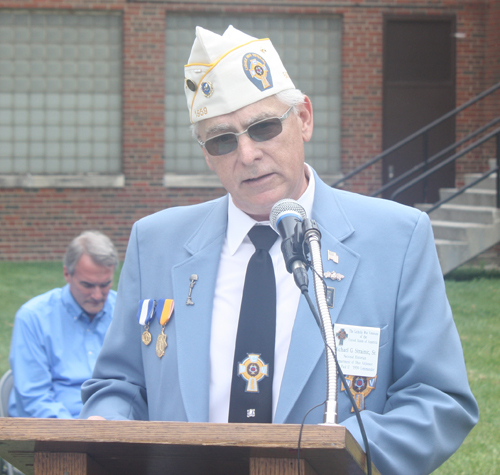 Raymond Chasser, PFC, USMC, St Joe's 1965. Ray was from Euclid and KIlled in Action (KIA) May 15, 1967 in Quang Tri Province. William Dimgard, 1LT. US Army, St Joe's 1963. 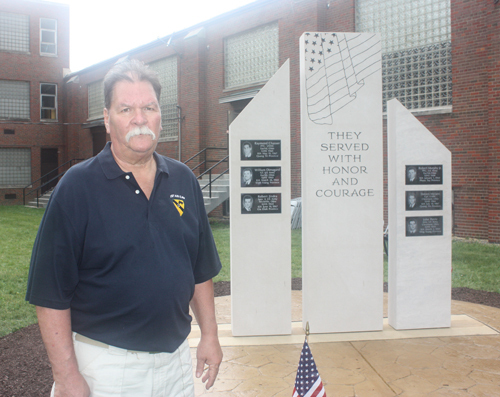 Bill was from Euclid and KIA March 28, 1968 in Dinh Toung Province. Robert Jindra, Spec. 4 US Army, St. Joe's 1965. Bob was from Wickliffe and KIA June 19, 1967 in Gia Dinh Province. Robert Murphy Jr.. PFC US Army, St Joe's 1964. Bob was from Euclid and KIA January 1, 1968 in Phuoc Tuy Province. 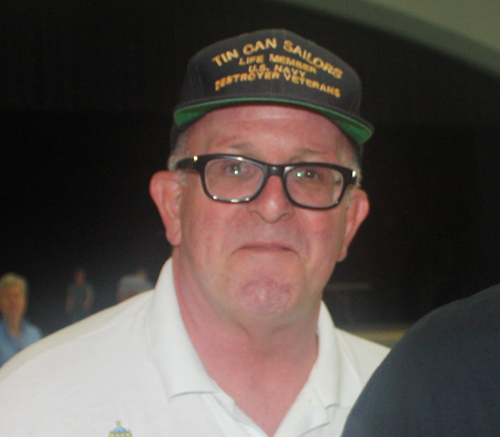 Steven Mylant, Cpl. USMC, St Joe's 1964. 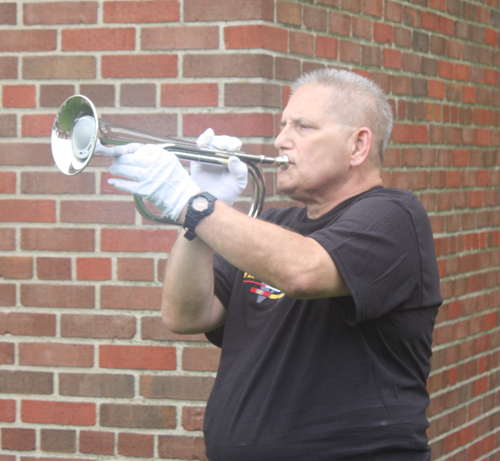 Steve was from Cleveland and KIA July 10, 1967 in Quang Tin Province. John Petric, MAJ. US Army, St. Joe's 1955. John was from Cleveland and KIA March 2, 1969 in Ding Toung Province. 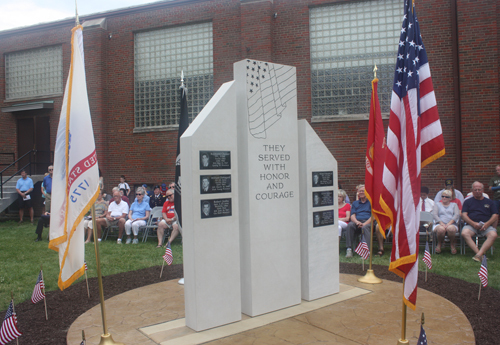 Jim Tobin gave thanks to all Viking Veterans, former VASJ President Rich Osborne '69 and Monica Johns from the Johns-Carabelli company for the work on the Viking Veteran Memorial to honor the six St. Joseph High School students who were killed in Vietnam. 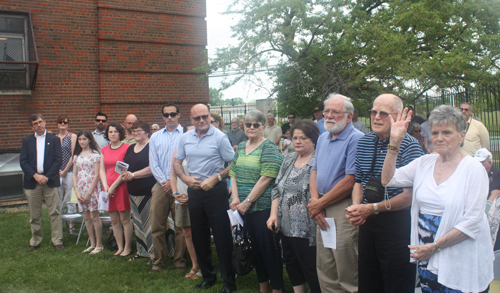 Jim Tobin said he thinks of two songs when reflecting on the Memorial: Don Henley's The End of the Innocence speaking about the death of your brothers and classmates and Bob Dylan's Forever Young. 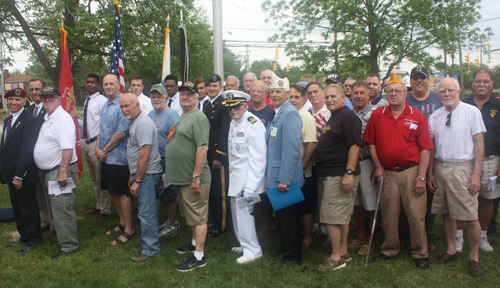 The ceremony ended with Taps and the Retirement of Colors. 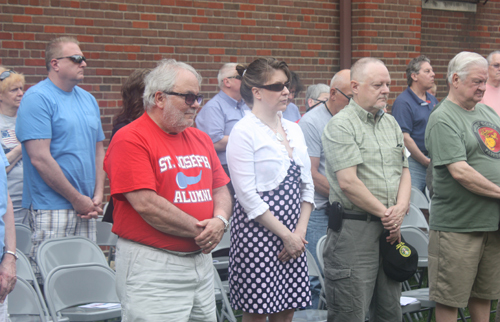 A group of St Joseph High School alumni who are veterans sang the alma mater after the ceremony dedicating the St. Joseph High School Viking Veterans Memorial in Cleveland. Hail Red and Blue. 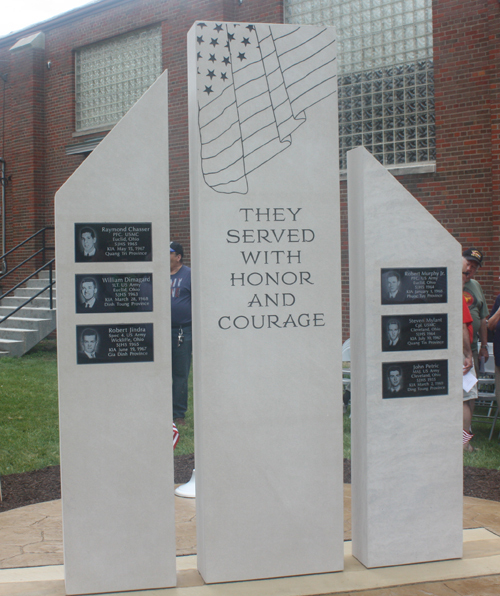 Enjoy these other images from the moving ceremony and make plans to visit soon if you can. 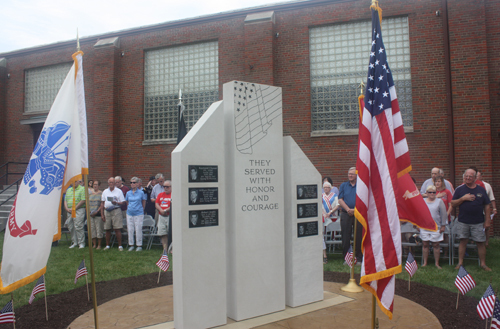 Congratulations to the Committee and all who had a part in making this a reality.